UNICEF estimates there are 143 million orphans worldwide. Every 2.2 seconds another orphan ages out with no family to belong to and no place to call home. Studies have shown that 10% – 15% of these children commit suicide before they reach age eighteen. These studies also show that 60% of the girls become prostitutes and 70% of the boys become hardened criminals. The tragedy is staggering. My wife and I are passionate advocates for orphans and support of adoption in the United States and around the world. 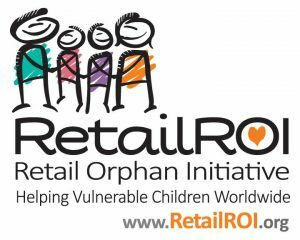 There are many wonderful channels to support orphans – two of those we contribute to are ShowHope and the Retail Orphan Initiative.